This Order sets a settlement conference, with respect to the three cases currently set for trial, for Friday, April 27, 2018 at 11:00 a.m. (CDT). The Settlement Master, Cathy Yanni, and the Settlement Committee will be in attendance. 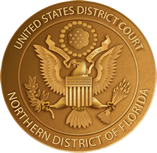 On the parties’ joint request, due to trial and mediation preparation, the Fourteenth Case Management Conference currently scheduled for April 18, 2018 is hereby cancelled. All other deadlines remain in effect. 2018, which is the date already set for the pretrial conference in the Lilly matter. The parties’ proposed order is adopted. This Order memorializes the parties’ agreement regarding the proposed schedule for case-specific deadlines in Lilly v. BMS, et al., 3:17cv186. This Order memorializes the parties’ agreement regarding the proposed schedule for case-specific deadlines in Viechec v. BMS, et al., 3:16cv291. This Order resolves Defendants’ motion for summary judgment on general causation, and also the parties’ related Daubert motions. The Viechec matter is scheduled for trial commencing Monday, August 6, 2018. This Order sets forth the pretrial schedule and procedures. The Lyons matter is scheduled for trial commencing Monday, June 18, 2018. This Order sets forth the pretrial schedule and procedures.